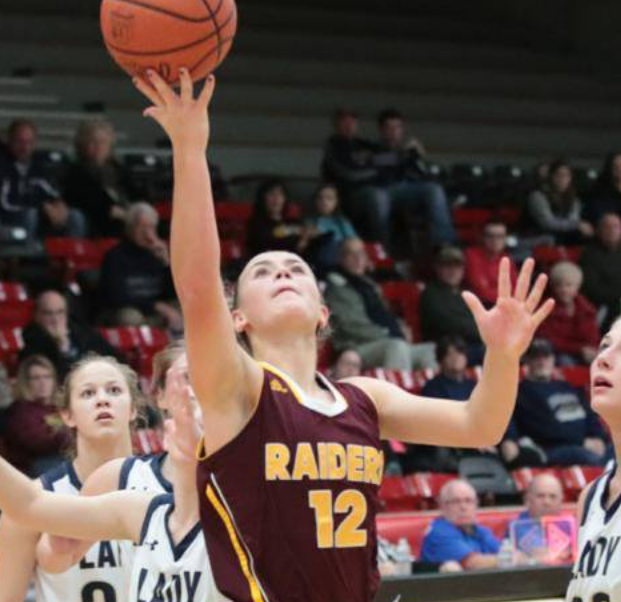 The Lady Raiders returned to play from some time off with their first rematch of the season at Carrollton, it would also be their first loss of the season as the Raiders fell 56-42. The game started off as a defensive grudge match. Both teams made it clear how much they wanted to win with the tight, physical defense forcing plenty of turnovers. The end of the 1st quarter came and the two teams combined for only 15 points. The Raiders trailed 9-6. While Carrollton was able to free up some offense in the 2nd quarter the 10-day layover was still affecting the Raiders. Izzy Lamparty put in two free throws at the end of the half just to avoid a double-digit halftime deficit. The Raiders trailed at the break 23-14. Bree Kohler came out swinging in the third quarter find a softness in the middle of the Warrior defense. She was able to score 11 points in 5 minutes of the 3rd quarter to spark the Raiders back into the game. Then Bri Modic and Samantha Patrone hit back to back threes to tie the game at 34-34 with 1:30 left in the 3rd quarter. But the Warriors would not back down. They found ways to get points and lead the Raiders 38-35 at the end of 3. The Raiders fought hard to keep it close as the 4th quarter started as Dani Vuletich scored 6 of her 9 points in the fourth frame but the Warriors were able to answer every bucket the Raiders scratched to get. With 5:00 minutes left in the game the Raiders trailed 45-40. Unfortunately, their offense ran out of gas and the Warriors outscored the Raiders 11-2 in the final 5 minutes to hand the Raiders their first loss 56-42. Bree Kohler lead the Raiders with a career-high 12 points. Dani Vuletich and Izzy Lamparty both finished with 9. The Lady Raiders return to action Saturday hosting Lakeview. JV tips at 1:00.